Description: Beautiful florist creating spring colorful bouquet arrangement. 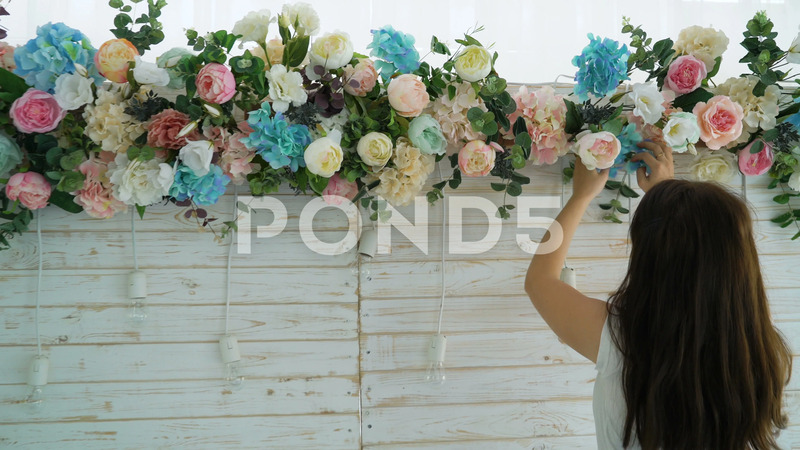 Flowers event wedding decoration. Process of preparing floral composition for celebrating party.